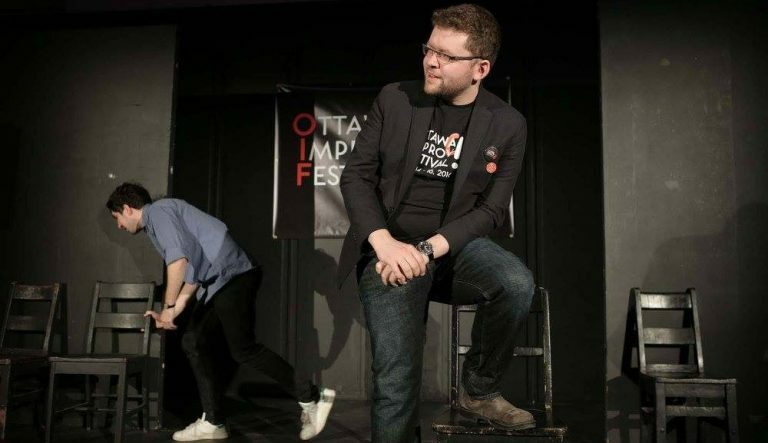 First, we are looking for improvisers who have an interest in hosting shows. Hosting is a whole skill on its own — part public speaker, part standup, part cat herder. We are looking to build a small pool of hosts who can rotate through shows at the Embassy (like the Preserve jam or Cagematch) and off-site shows, and we will provide training. If this is something you’re interested in, drop IE production director Chris Hannay an email with a little something about you. Second, we are very excited to announce the launch of a new biweekly show at the Embassy: The Improv Cagematch! Every other Thursday, three teams will compete for audience votes, with the winner returning to compete in the next show. Each team should be brand new — never having done a show before with that combination of people — and between two and six members. The centrepiece of the show will be 15-minute sets performed by the three teams in any format they wish: fast-paced montages, longer stories, musicals, improv games, etc. The first match will take place on Thursday, Sept. 15. If you’re interested, get some friends together and throw us an application to compete!